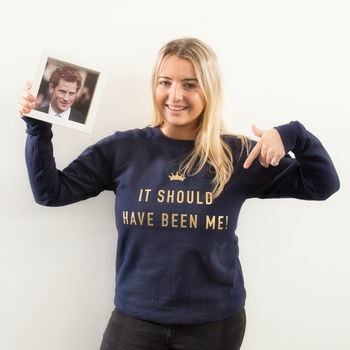 It Should Have Been Me Jumper! Treat yourself to this fun navy jumper with gold graphic to celebrate the recent Royal engagement! 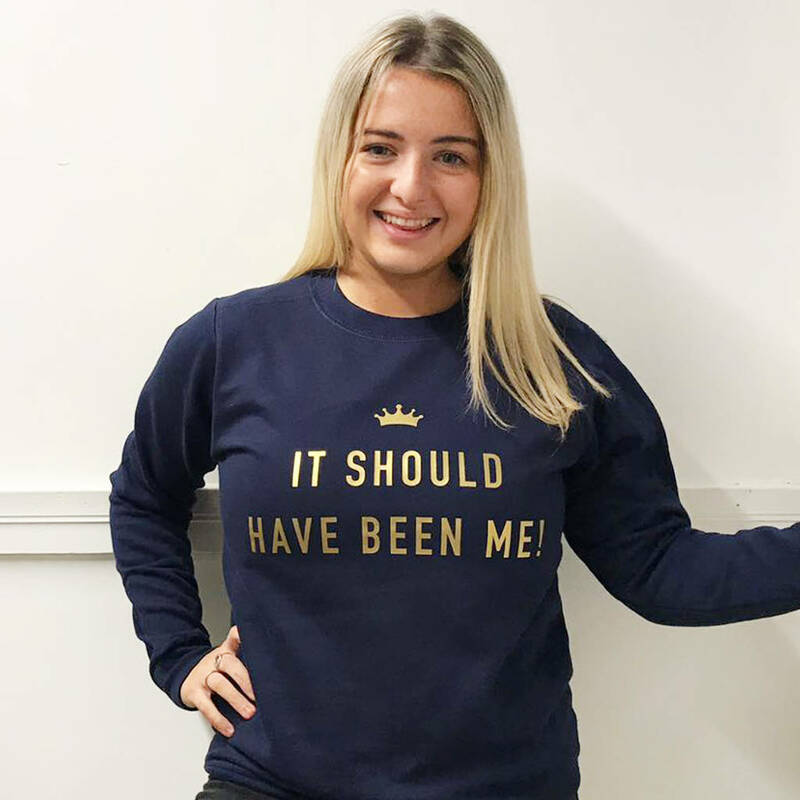 This gorgeous navy jumper is a must have! 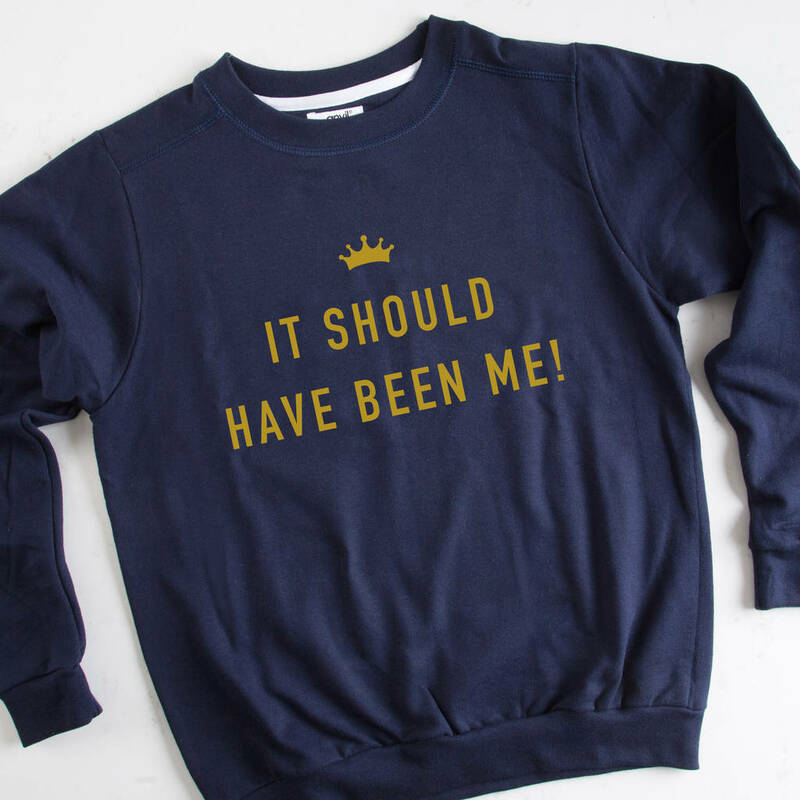 The wording 'It Should Have Been Me' also features our crown graphic. 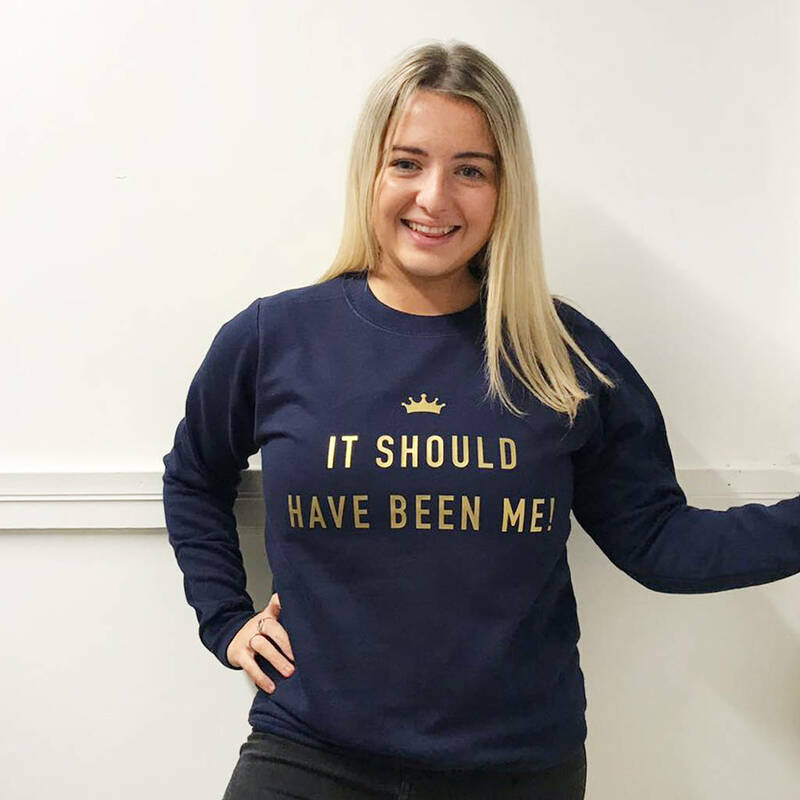 Each jumper is made to order with the wording printed in our matt gold. 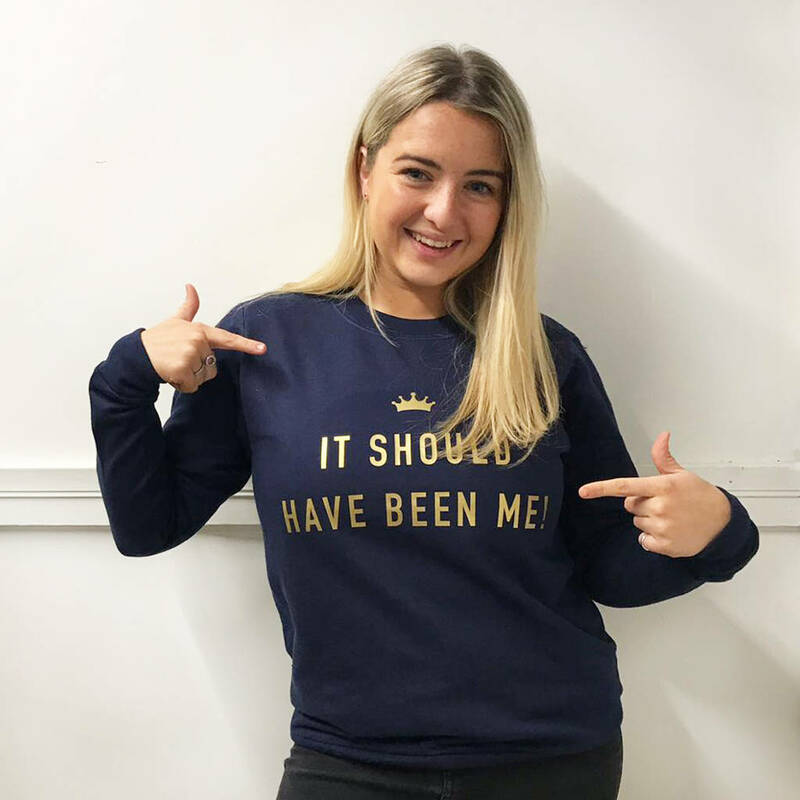 Ideal for Christmas too, stand out and stay warm with this cosy jumper.